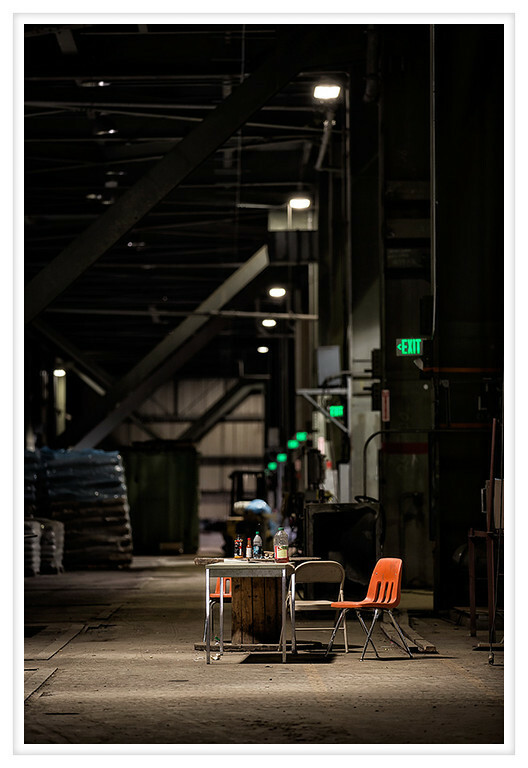 In one of the converted buildings at Satsop there are massive spaces that have been leased out to various companies. This level is leased to a steel fabricator and as we walked through this table caught my eye. Placed under a lamp so that is gets decent light in the middle of a giant open floor, it just looked peaceful. Amid the sounds of trucks rumbling in and out two floors below I can imagine the chairs filled by people laughing while they take their breaks from the hard dirty work they do every day. Maybe they flip through a magazine, play a game of cards, or just chat to pass the time.